Eurasianism is a political trend nowadays, still few people realize its essence. In the official circles eurasianism is a political strategy concept, for the nationalists of all stripes it is an infamous term to denote favor for barbarous manners. Meanwhile eurasianism is an ideology that assumes civilizational sovereignty of Russia and in the case of Russia civilization as an essence, which is built up on the religious basis, has orthodox christian roots. The "eurasian" element itself is the geopolitical location of Russia, which is not equal to the geographical location being sociologically and culturally neutral. Geopolitics always bears stamp of the society, which populates any given "environing landscape". Of course, eurasianism is not a religious doctrine and it could not be considered in dogmatic categories. It is a political philosophy, which is not exclusive of either Orthodox Christianity or any other traditional religion, in distinction from, for instance, liberalism, which places individuum in the centre of the universe instead of the God. By contrast Eurasianism proclaims a primacy of the collective over the individual, a supremacy of civilizational values over individual assumptions. Nevertheless, eurasianism's non-contradiction to Orthodox Christianity is just a zero reference point. What is the Orthodox Christianity essence of eurasianism itself? One needs to refere to Konstantin Leontyev's philosophy of Russian nationhood as he has defined most foundations, which have become the basis of eurasianism's ideology. His work "Byzantinism and Slavdom" is primarily valuable for distinguishing the civilizational essence of Russia. Russia is defined with a conception of "byzantinism" as a civilisation rather than just a state: mentally imagining pan-slavism, we get only some amorphic, accidental, disordered image, something similar to a view of distant and vast clouds, which can form various figures as the clouds are getting closer. On the contrary, imagining byzantinism we can see a kind of a strict and clear plan of a vast and spacious building. For example, we know that byzantinism relating to a state means autocracy. In religion it means christianity with specific features, which distinguish it from western churches, heresies and dissents. Leontiev denies the existence of "Slavic civilisation" in contrast, for instance, to West European one, but accepts the existence of Slavdom as a "complex of tribes". Therefore, civilizational matrix of Russia is not formed by means of ethnic affiliation. It is formed by means of religious and state idea, which unites peoples from different tribes in the certain system: "To love a tribe just because it is a tribe - is a wrench and a lie. A different matter is when a tribe is related in anything to our special ideas, to our root feelings. L.N. Gumilev showed in his works how exactly civilizational values inherited from Byzantium consolidated the "blooming complexity" of the peoples and ethnic groups of the Eurasian area. In the opinion of the author of passionarity ethnogenesis, theory Byzantian Orthodoxy has helped slavdoms to conquer two conceptual enemies - Khazar usurers, the adepts of interest rate and ancestor of the modern monetarist system and bloody cult of Perun, which demanded human losses: "Goodness and wisdom of christianity in 988 fought the Perun and pursuance of lucre - the actual god of radhanites. Christianization has given our forefathers the supreme freedom - the freedom of choice between Right and Wrong, and the victory of orthodoxy has given Rus millenary history" ("From Rus to Russia"). Gumilev associates the rise of Muscovy with the ability to recruitpassionate members of diverse ethnoses: "In the context of passionarity ethnogenesis theory the reason of the rise of Muscovy was that it was the Grand Duchy of Moscow that engaged dozens of passionate people: tartars, lithuanians, rusichis, cumans...". The 14th century saw the formation of a new ethnos - the Great Russian one, which became the basis for the construction of a new Empire: "At this particular time, in the 14th century, Rus gained its name "Holy". Characteristic epithet showed that a brand-new ethnos - the Great Russian one, with its own ethnosocial system (Muscovy) - had appeared in the place of old Kievan Russia. Neo-eurasianism is a political philosophy which contraposes multipolar approach to the pretension of financial elites for a world hegemony. Multipolarity assumes preservation and development of local political, social and cultural peculiarities, dialog and collaboration between several centers of decision-making formed on the basis of the values of a given civilisation. 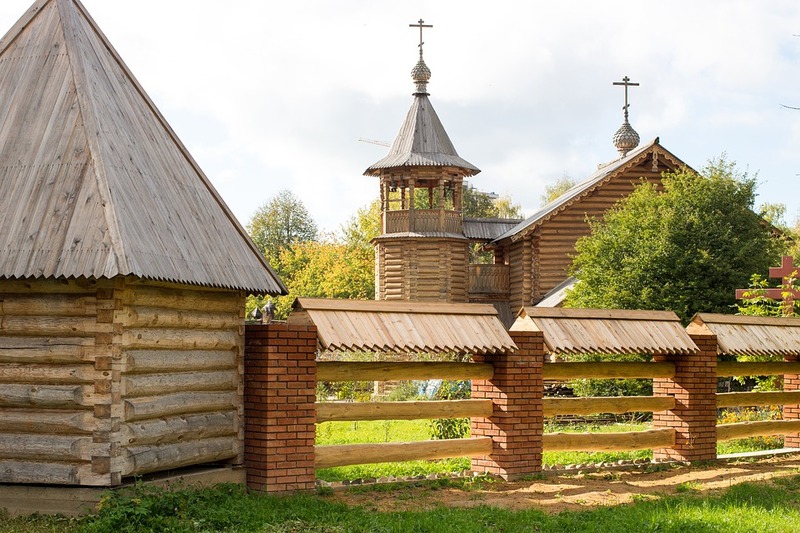 In the case of Russia, orthodox faith is the value basis of the civilisation. Nevertheless, the authentic orthodoxy as against protestantism, is free from aggressive imposure of its religious ideas to the other peoples. It is attractive for its greatness, tightens with love and trust and has no use for major violence. The second column of the Empire is a strong state authority, which ensures protection and schelter to the members of different nations and ethnoses. Also, the Empire does not require that adherents of a different faith abandon their values, and rewards them for the devotion to the state. But, at the same time, the imperial authority restricts manifestation of tribal selfhood, which is dangerous because of the fact that it leads to the atomism with subsequent rise of selfish and loudmouthed pocket countries in the territory of the once-great country. Similar to Orthodoxy, philosophy of eurasionism teaches that there exist something of a higher value than individual rights and freedoms, capital accumulation, satisfaction of short-term needs. Each orthodox is a warrior of Christ, fighting for eternity. Each eurasianist is a political soldier, a guardian of the Empire and orthodox faith, which steps over death, making history.